The cultural entertainment scene in Delhi is both rich and diverse. Since Delhi is an ancient city in the heart of India, it also acts as a cultural hub. There are regular events that bring to life India’s culture, heritage, arts, craft and performing arts. If you feel inspired and would like to explore, then visit any of the following buzzing cultural centres of Delhi and contact them to know more about the latest shows and performances. Kamani Auditorium – host to some of the best National and International theatrical, dance and musical performances. 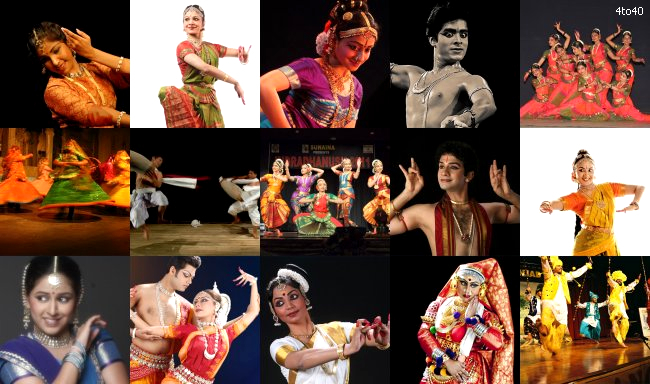 Dances of India – organizes classical and folk dance performances, showcasing different styles around rural India. There are many more cultural centres across Delhi and information about cultural shows and activities can be obtained from local and prominent newspapers like Times of India and Hindustan Times. All cultural events in Delhi are listed on www.delhievents.com. Entry to most cultural venues is either free, nominally priced or strictly by invitation. The Indian movie industry is the second largest movie industry in the world. Movies from Bollywood have suspense, music, dance and drama all rolled into one. Watching movies is a popular form of entertainment in Delhi. Connaught Place (near New Delhi Train Station) is a buzzing hub with lots of cinema halls. Here you can catch any of the latest Bollywood OR Hollywoord movies in any one of the 4 cineplexes. 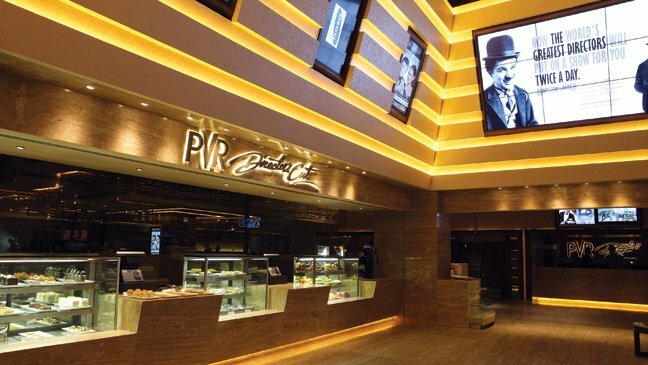 Popular places are: PVR Cinema, Big Cinema, Regal Cinema and DT Cinema. They all have their own Smartphone Apps and Websites from where you can book the tickets. Read this article to know more about the cinema halls in Connaught Place area. The nearest metro station is Rajiv Chowk. Delhi is a city with a glorious past and has many tales to tell, these can be known by taking various walking tours which offers great opportunity to explore Delhi. Walking tours get you involved with the city where you get to interact with locals and be part of their everyday existence. There are several walking tours organized in Delhi like street life of Delhi, Old Delhi Walk, Delhi Food Walk etc. 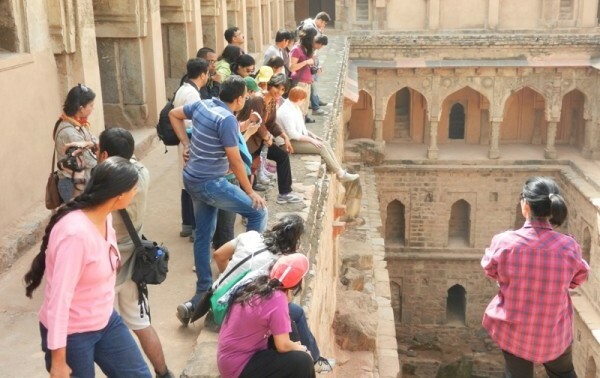 These walking tours give you an opportunity to explore Delhi like locals and experience their day to day life. Saket is located in the South Delhi and has quite a few up-market malls, which combines high street shopping along with cafes, bistros, restaurants and bars. 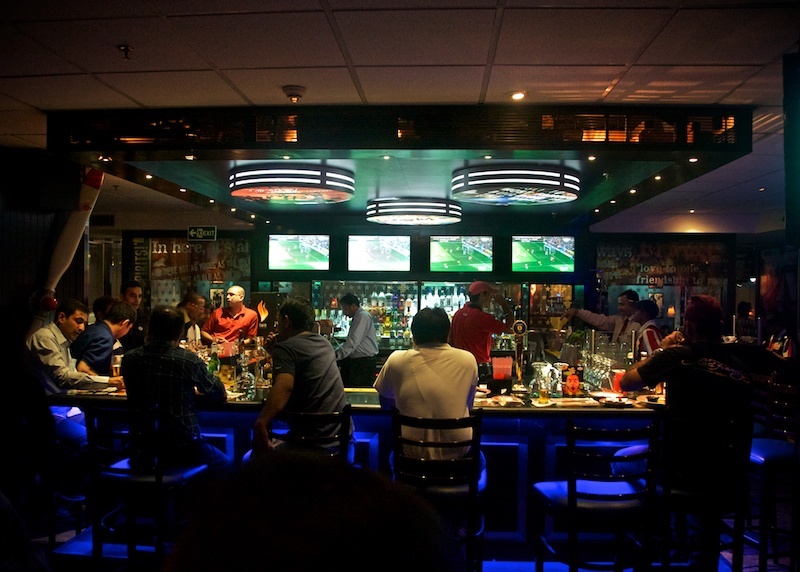 It is one big entertainment hot-spot and a perfect place to unwind after a long day of sightseeing, Right from pub hopping to having a mouthful of the very best of Indian and International cuisines, it’s all here in one place. The nearest metro stations are Saket and Malviya Nagar. B Bar @ Select CityWalk Mall, Saket. Hard Rock Cafe @ DLF Place, Saket. Geoffrey’s @ Select CityWalk Mall, Saket. Ice Lounge @ MGF Metropolitan Mall, Saket. 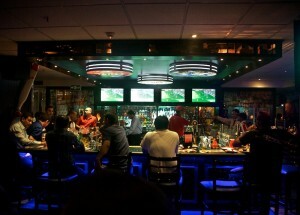 Underdoggs Sports Bar & Grill @ Ambience Mall, Vasant Kunj. 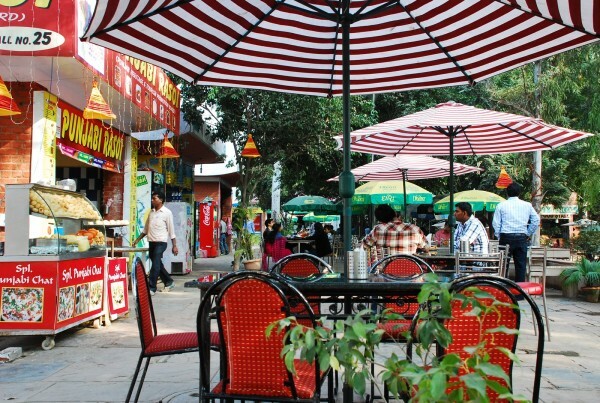 Dilli Haat: is a synthesis of arts, crafts, food and cultural activity all rolled into one. If you are a foodie then this is a wonderful place to indulge in a wide variety of cuisines from all across India without paying an exorbitant price. Be it Kahwa & Kebabs from Jammu and Kashmir, Bamboo chicken from Nagaland, Momos from Sikkim, Dhoklas from Gujarat or Pooranpoli from Maharashtra, it’s a mini India at one place. Along with food, there are many artisens who come there and sell their produce. You can find clothes, rugs, hand painted amongst statues and paintings. India Gate: is located at the centre of New Delhi and opposite to the Rashtrapati Bhavan. During nightfall, visiting India gate is a wonderful experience as it is dramatically illuminated. Surrounding this imposing monument is a large expanse of lush green lawns, which makes it a popular hangout place. It is an ideal place for a stroll in the evenings, picnics or just people watching. It is dotted with ice cream vendors, hawkers etc. Lot of locals throng this place in the evening. The nearest metro stations are Patel Chowk and Central Secretariat.